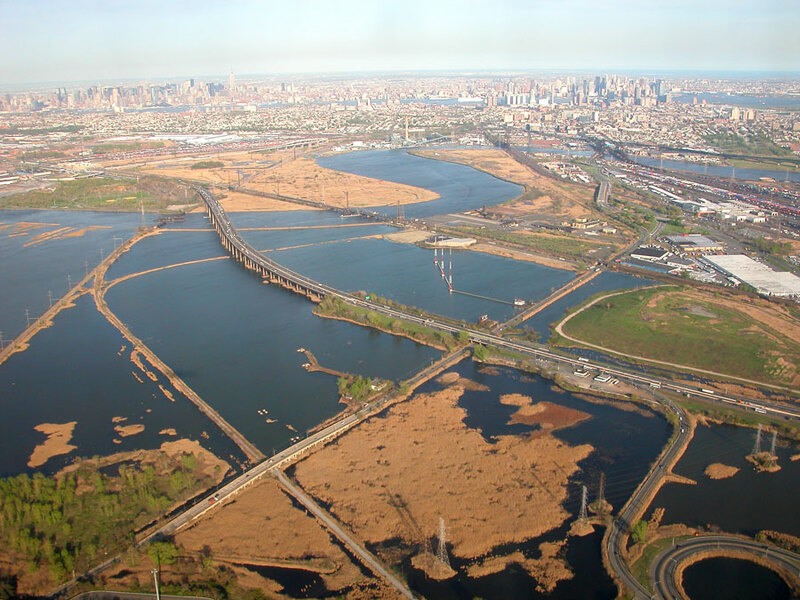 How is the New Jersey Meadowlands planning for climate change? - Archpaper.com How is the New Jersey Meadowlands planning for climate change? In New Jersey, at least, the stakeholders are vocal. Debbie Mans said that obstacles to resiliency planning abounded. Since the state legislature dissolved the Meadowlands Commission seven years ago, she said, there’s been a piecemeal approach to what should be a comprehensive regional strategy. She took issue with grand plans put forth by Rebuild By Design, HUD’s National Disaster Resilience Competition. The plans called for hard and soft infrastructure, including a wall in the middle of the wetland. They’re soft, Mans said, is levees and berms. But with green infrastructure already intact, “bisecting and filling it intuitively doesn’t make sense.” The implementation, too, is scattershot; she questioned what the state and the region would receive for the millions being spent in the Meadowlands.